There is no comparison between the Centurian Card & The Visa Black card, BUT it’s nice to have the Visa Black as a back-up when a merchant does not accept American Express. It’s also nice to have a bank card anyway. I also like the fact that the American Express Black card is not a credit card but a charge card while the Visa black is a credit card. AMERICAN EXPRESS- LEAVE IT AT HOME!!!!! I recently had 4 American Express accounts, 2 credit accounts and 2 Platinum charge accounts (1 personal and 1 business). My personal credit as reported by Experian was “Excellent” and all accounts were in great standing which included paying off over $21,000.00 monthly on my Platimum accounts over the past few years. That equates to over $250,00 per year. I had heard about the Centurion card and wondered if I would “get the invitation”, since I met certain qualifications I had read about. Recently my bank erroneously stopped one of my online payments. AmEX immediately cancelled all of my accounts. Up until that point, I always had a pleasant experience when dealing with any AmEx customer representatives. Under the current credit crisis, I knew there was a reasonable explanation and AmEx was just being cautious. But when I called regarding the bank error, I was told by the representative that the cancellation was also due to multiple late payments and poor credit. I was completely dumbfounded. After speaking to numerous people at AMEX in efforts to help resolve the problem, I had my bank submit a letter taking full responsibilty for their error and I also submitted a current copy of my “excellent” credit report. I even had an AmEx representative verify there were no “late” payments on any of my AMEX accounts. To this day, American Express has not reinstated my accounts. Ironically, a week after AmEx cancelled my accounts I received an invitation for the VISA Black Card which I gladly accepted and now possess. Barclay’s now has my quarter million dollar business. 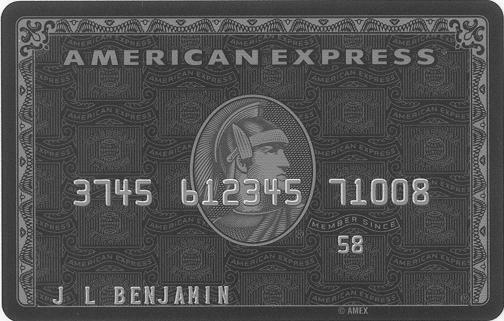 American Express- LEAVE HOME WITHOUT IT!!!! Where did I state I was in Canada? I am in the U.S.
And by the way, there is no “invitation” for the centurion card. You simply spend the 250k and then call to apply for the upgrade. Nobody will call you or invite you. thats not true. I never called about the centurian amex card. An invitation was sent by courier to my office. I dont even spend that type of money on my amex. Funny thing is, I do spend it like that on my visa, and no one has offered me the black visa so far. You are not alone. I too had an excellent payment history with American Express. American Express apparently thought differently and proceeded to reduce my credit line without notice. Needless to say I was very upset when I went to make a purchase and the purchase was denied because my of my reduced credit line. American Express is no longer my preferred card. Do you folks really have time to post about a credit card? Your wasting your time with the VISA Black Card – all show and no go. You can get a B of A Accolade card for about half the price and twice the benefits, or an AMEX Platinum for the same fee and more rewards/prestige. ITS A GIMMICK – DON’T BE SUCKED IN!!!! I’ve had the Visa Black Card for close to a year. I don’t think I will renew, in fact, I feel like a bit of a sucker for accepting their offer. First the facts: 1) low credit limits. I occasionally spend more than $100,000 a month with my AMEX Platinum and Blue Cards and I was only offered a $50,000 line with VISA. 2) Aiport Club Access. You only receive 2 free visits with the Visa Black and will be charged for subsequent visits. This was quite misleading. 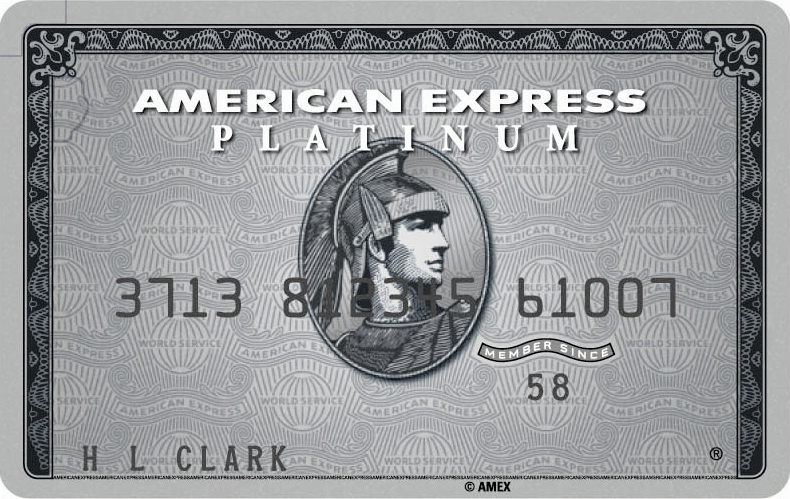 You recieve unlimited visits using the Amex Platinum. 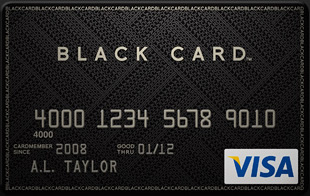 3)Visa Black offers 1% cash back. Gee, Amex Blue offers 5% on gas and groceries and Amex Blue is free! The confusing and wow factor. Here were some of the comments I’ve received in using the card: “We don’t accept American Express.” (They thought it was the AMEX Black card.) “Black Card! I gots to get me one of dem.” (Caribbean store clerk.) I still chuckle at that one. But, I still don’t think I will renew.